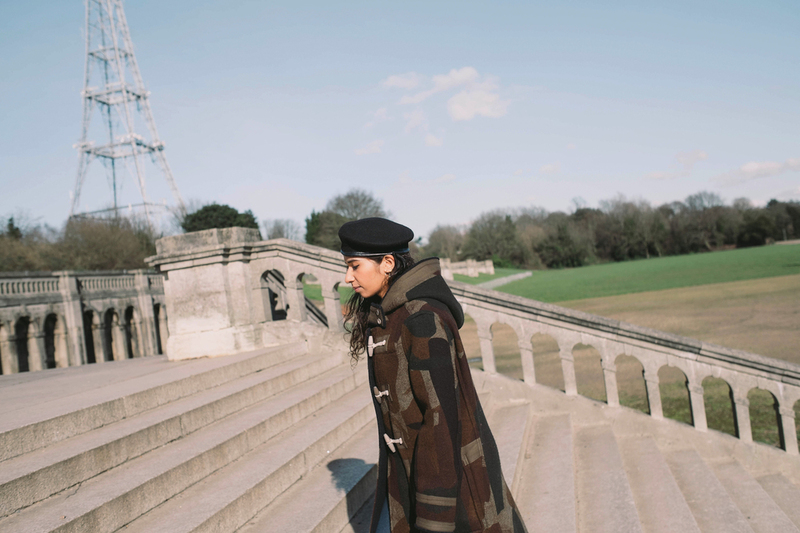 I meet Crystal Palace-based producer and DJ Nabihah Iqbal, also known as Throwing Shade, in a small, noisy coffee shop in her local station. We chat about the great record shops and cafés in the Crystal Palace Triangle, and she shows me around the nearby park, where the infamous dragons - curious Victorian interpretations of the dinosaur - grace the greenery and half-emerge from ponds. Iqbal is extraordinarily accomplished. By her own admission, she has studied, “quite a lot.” Growing up north of the river, she attended one of the best schools in the country, before going on to study a little-known course at SOAS in Ethnomusicology. After graduating, she completed an MPhil at Cambridge before converting to law, completing the bar and relocating to South Africa to work for a human rights’ organisation. Upon her return to London, while still working as a lawyer, her music career picked up via Soundcloud in a way aspiring musicians only dream of. But Iqbal’s career has gone from strength to strength. This year, she is due to play South by Southwest in Texas (“a dream of mine”) and will release a 5-track EP, House of Silk, on Ninja Tune in March. When I meet her, she is working on a score for a Belgian indie film. “I don’t think it has a storyline. It’s strange but I like that because it gives me the same freedom with my music. The sound palette sounds like Throwing Shade but it’s more atmospheric. I’ve used guitar and some different instruments." Iqbal collects sounds wherever she goes. She would one day love to travel with the sole purpose of musical discovery, but “that hasn’t happened yet.” Instead, she incorporates music into all her itineraries. When I meet her, she has just returned from visiting family in Pakistan and is busy formulating a show based on her recordings there. A holiday to Jamaica provided the basis for one special edition of her show, and she once dedicated an entire show to Muslim Jazz, which became one of her most popular to date. Iqbal is composed, accommodating and easy company throughout. Naturally relaxed, her demeanour is underscored by a steady professionalism, and she gives calm, assured responses to my, sometimes erratic, line of questioning. It strikes me that her manner in some way embodies the complexities of Human Rights’ lawyer turned musician à la mode. But why did Iqbal make this change? I ask her if she feels 'weird' about the transition and she tells me 'weird' is not the right word. Pop music however, is a long-standing passion. She describes Michael Jackson as, “her first musical obsession,” retelling a story of a childhood spent watching the same Michael Jackson documentary “religiously” until the tape became worn out and had to be replaced. I imagine that she will. 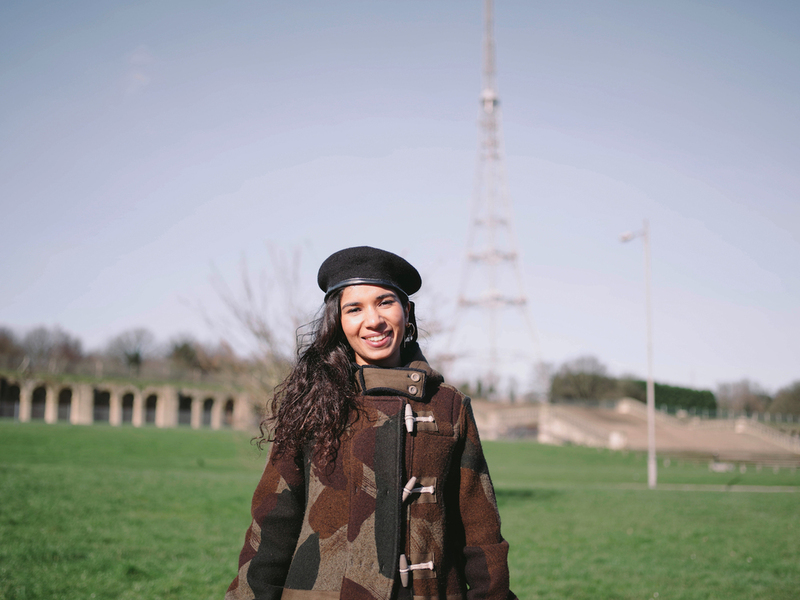 Much of Iqbal’s time is spent gigging these days, but she still goes out regularly; South East to Rhythm Section, Rye Wax and YAM Records in Peckham, and East London venues like Alibi, Birthdays, or Visions, "It’s a bit down and dirty, but it’s an important venue to me; it’s where I played my first ever gig as Throwing Shade”. She spends days at the Blue Mountain café in Penge, the Herne Hill Famers’ Market, and the Horniman Museum. Keen to discover Iqbal’s less cool past-times, we discuss a shared adolescence spent hanging out wearing “really baggy trousers.” “Me and one of my best friends made a pact when we were 14 that we would always wear Criminal Damage trousers - that we’d never stop wearing those trousers, even when we’re 20. We laugh about it now.” While at university, she was in a noise band called Of For. "I don’t think there’ll be anything about that on the internet,” she laughs, “But we did play a few shows. We played at the ICA. That was cool.” Clearly, Iqbal’s awkward grungier moment was infinitely cooler than mine. The strength of Throwing Shade lies therein; she incorporates a certain academicism, an awareness, into her work that transcends making or playing music solely because it sounds good. But it does sound good - from her exceptionally diverse, feel-good radio shows, to her danceable live sets, to her evocative personal sound, Iqbal provides ear candy endowed with a knowledgeable dimension. Bright, natural and unpretentious, Nabihah Iqbal is a welcome addition to a flourishing, but testosterone-heavy, alternative music scene. WORDS: Lizzi Sandel is a film student at Kings College London; she lives in Bermondsey but her heart belongs to Peckham.